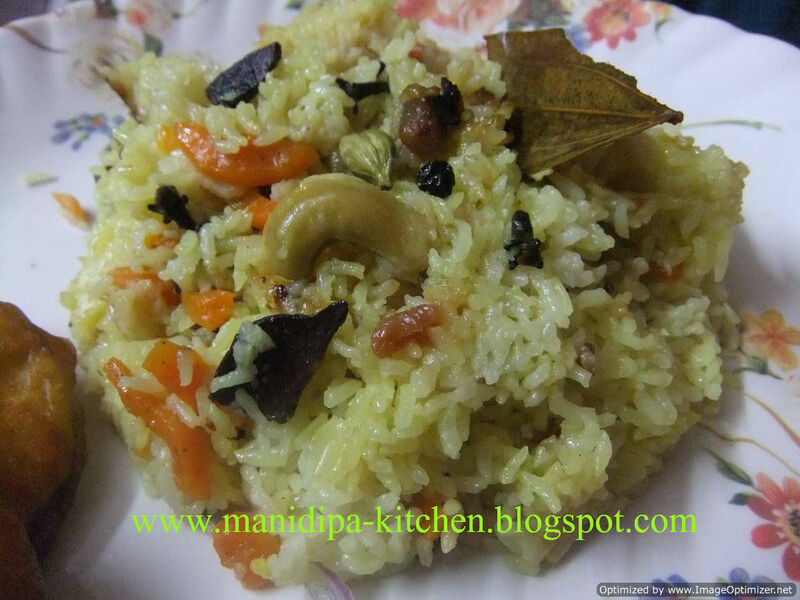 Shahi Vegetable pulao is a sweet rice recipe with lot of veg & other ingredients.Its really tasty with some other spicy dish. 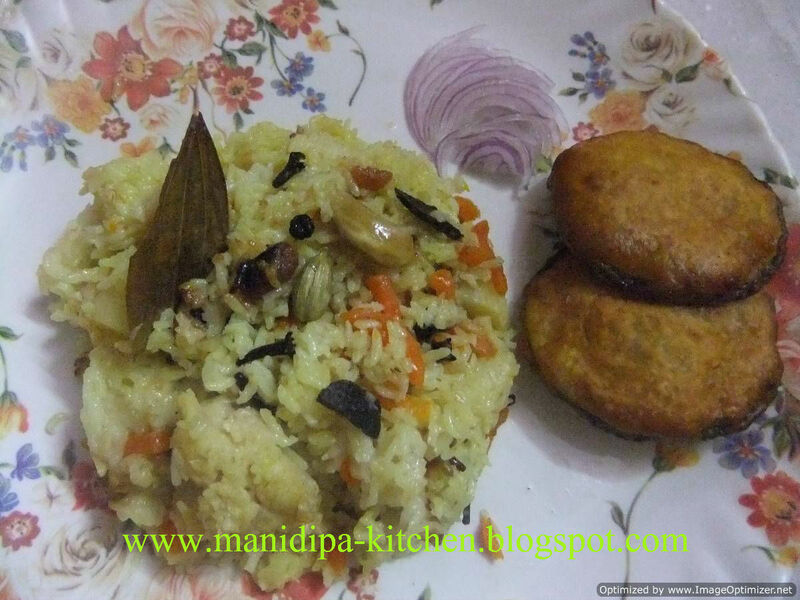 Generally this recipe is prepared from basmati rice everywhere. But I ll prepare this with Jeera Rice.Its actually typical Bengali style. You can try as per your choice. First of all wash the rice properly and drain out the water.Keep this aside. Wash the chopped vegetables. We will use lots of Ghee in this recipe. Now we will take the cooker. We will cook the rice in pressure cooker. So everything will be done in that only. No other utensil required. So Add ghee to the cooker. And now add cinnamon cardamom,bay leaf and cloves.Fry them till feel the aroma. Now add all the chopped vegetables.Add termeric powder and salt. Now in a high flame, fry the vegetables Its not required to fry the vegetables completely. Add ginger & garlic paste.We will saute them till the ghee is there, as we have added lots of ghee. The specialty of this pulao is lots of ghee. This will really increase the flavor. Now when the vegetables are properly saute now add the rice. Add sugar & salt if required. Add all the dry fruits & cashews. Now mix everything properly and stir for 2-3 min.Now we will add water to it.The water proportion is the most important thing, as we have to add enough water so that the rice can cook properly,not overcooked. Water content should be little equal to rice.Here we took 2 cup rice, so I took 2 & 1/2 cup of water. Now cover the lid and cook for 20-25 min in lowest flame. It could be 20-25 min or 2 whistle whichever come first. After that cool down the cooker and explore your pulao. The flavor is really really awesome. We had it with Beguni, chicken curry and onions. Its really tasty. Hi this is regarding ICC, do drop me an email. the pulao looks simply awesome dear !!! !very flavorful !!!! !